Starred as Addie Singer on the Nickelodeon series Unfabulous and Madison Montgomery on American Horror Story: Coven . In 2007, she won a ShoWest Award for Female Star of Tomorrow and a Young Artist Award for Best Supporting Actress for her performance in Aquamarine . 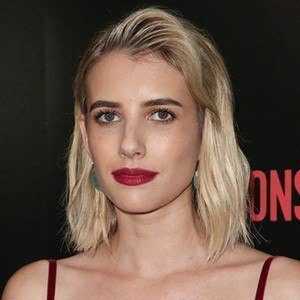 She was cast as Chanel Oberlin in the FOX comedy/horror series Scream Queens . She spent much of her childhood on film sets and made her debut in 2001's Blow . She had a leading role in the 2010 film It's Kind of a Funny Story . Her parents are Eric Roberts and Kelly Cunningham, and she is the niece of actress Julia Roberts . In 2014, she got engaged to fellow American Horror Story actor Evan Peters . After their split she began dating Christopher Hines in 2016. She and Peters then rekindled their relationship and got back together. She starred alongside Jennifer Aniston in the 2013 comedy feature We're the Millers .